Also: QC COLOR HARDENED DECORATIVE CONCRETE PAVING SLAB with BOMANITE MICRO-TOP APPLICATION. PART I – COLOR HARDENED CONCRETE PAVING SLAB to be installed by Bay Area Concretes, Inc. The Contractor for color hardened concrete paving slabs shall provide conclusive proof that he has a minimum of 15 years experience installing this type of work, and is qualified to and has previously produced Bomanite or QC color hardened and Bomanite Textured paving, and can comply with the provisions specified herein and shown on the plans. The contractor must be a member of an organized group of Decorative Bomanite Licensees whom are educated and schooled by Bomanite Corporation. Further proof of expertise shall be in three high quality installations, similar in scope to that specified herein, and located within a 125-mile radius of the City. Evidence that the Contractor is qualified to comply with the requirements specified herein shall be submitted to and be subject to the approval of the Architect, Engineer, City Official, Owners Representative, and/or General Contractor. Materials: concrete, color hardener(s), Micro-Top, reinforcement, forms, curing compound, sealers. Artistic Expertise Requirement: The graphic art and color application for the concrete paving areas MUST be produced, supplied, and installed by Bay Area Concretes, Inc. – a color specialist having experience using various custom color hardeners, Micro-Top cement technology by Bomanite Corporation, architectural sandblasting techniques, layout and artistic “fine-line” saw cut or hand scored jointing skills, and must have at least 10 years experience in similar public projects. 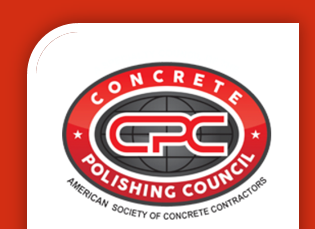 Concrete Mix: Concrete shall have a minimum compressive strength of 4000 psi. Portland cement shall conform to ASTM C 150, Type I, II, or IV. Aggregate shall conform to ASTM C33 and shall be 3/8 inch or less. Aggregate size of 1″ maximum is permissible in some applications. Mix water shall be fresh, clean and potable. An air-entraining agent conforming with ASTM C260 and/or a normal set or retarded-set water reducing admixture conforming with ASTM C 494 may be used. Calcium chloride shall not be permitted in the mix. Concrete shall be approximately 4” inch thick. Reinforcement shall be: 6”x6” x #6Gage Flat Panel Welded Wire Mesh or #3 Steel Rebar Reinforcing @ 18” O.C. – minimum. Color shall be ready-to-use, dry-shake Bomanite or QC color hardener and shall use streak-free integration of pigments, surface conditioning and dispersing agents, and Portland cement, blended with hard graded aggregate as manufactured by Bomanite Corporation or QC Construction Products, Madera, Ca. The concrete mix shall be placed in each specified paving area in a single day operation, screeded to the proper grade and wood floated to a uniform surface in the normal manner. Color Hardener shall be applied evenly to the plastic surface by the dry-shake method at the rate of 60 pounds per 100 square feet. It shall be applied in two shakes, wood floated after each, and smooth troweled after the final floating , then troweled again. Concrete shall be allowed to cure and set. Decorative layout or Saw Cut artwork may be applied no sooner than 2 days after pour. Application of Micro-Top by Bomanite materials not less than 28 days after pour. Application of Sealers by QC & Bomanite not less than 28 days after pour.